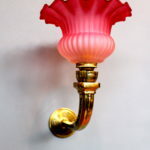 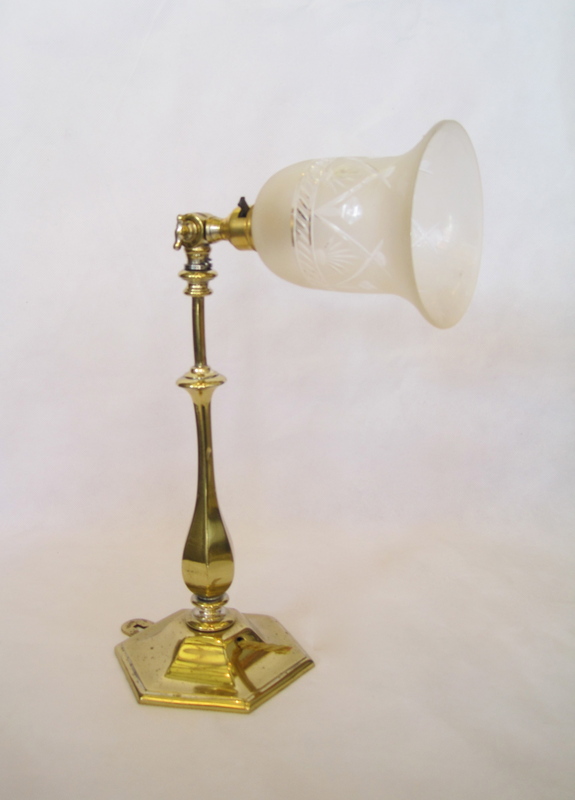 1930’s English table lamp which can be also be hung on the wall. 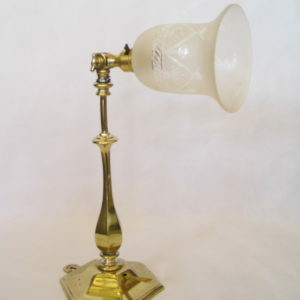 It has a butterfly wing which is used to adjust the neck in the required position. 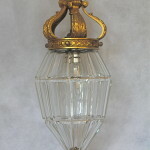 Polished brass with cut glass shade.